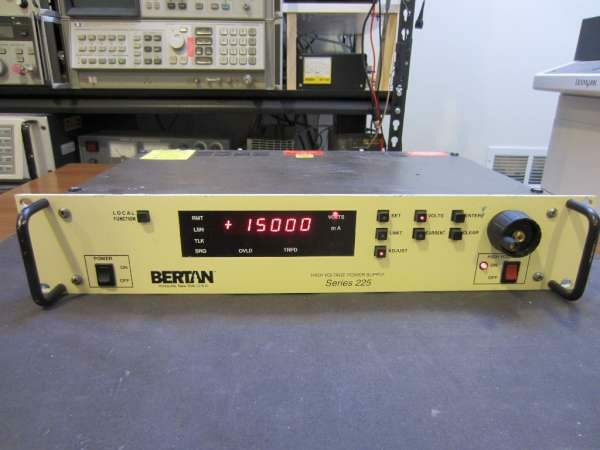 I just picked up another high voltage power supply, this time it is a working Bertan/Spellman 225-20R 20kV one. Unlike the Bertan 205A-05R that I did a teardown with last time which was entirely analog, this one can be controlled digitally either via the front panel or via GPIB from the back. In this blog post, let me share some of the teardown pictures with you. If you are interesting in seeing some cool experiments with this high voltage power supply, you can scroll down and watch my video towards the end. More details at Kerry D. Wong’s blog. This entry was posted on Friday, December 2nd, 2016 at 1:08 pm	and is filed under Teardowns. You can follow any responses to this entry through the RSS 2.0 feed. You can skip to the end and leave a response. Pinging is currently not allowed.